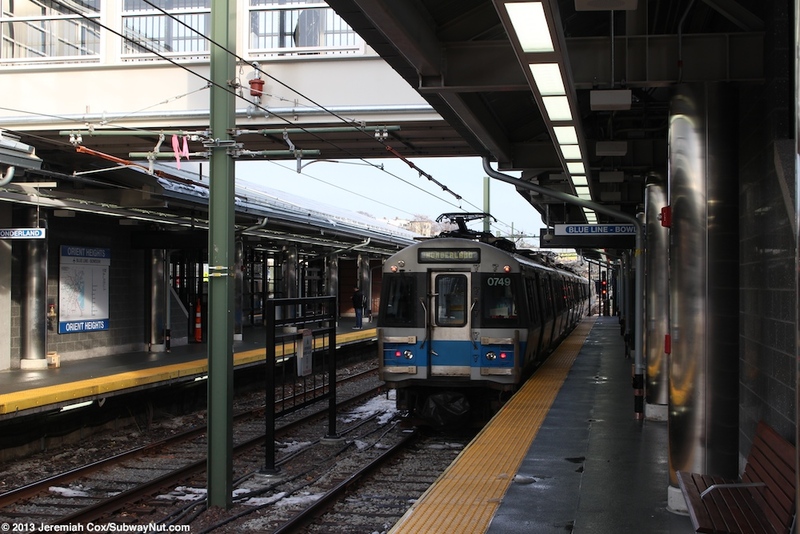 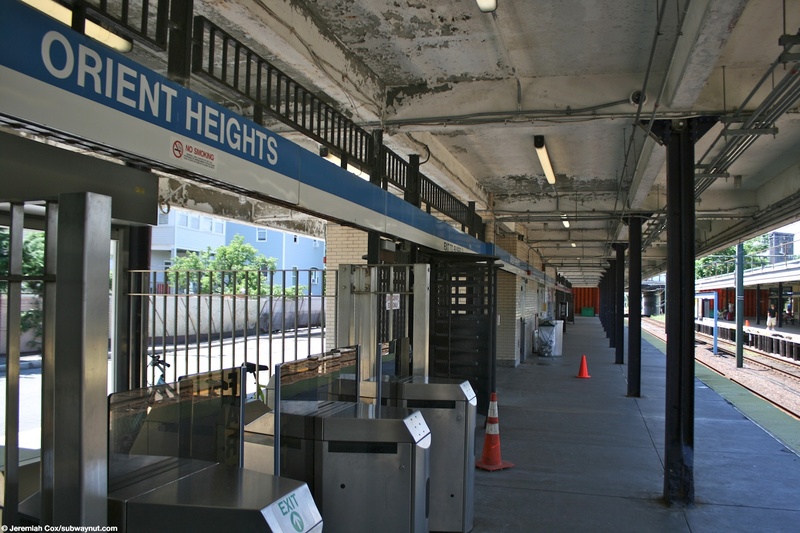 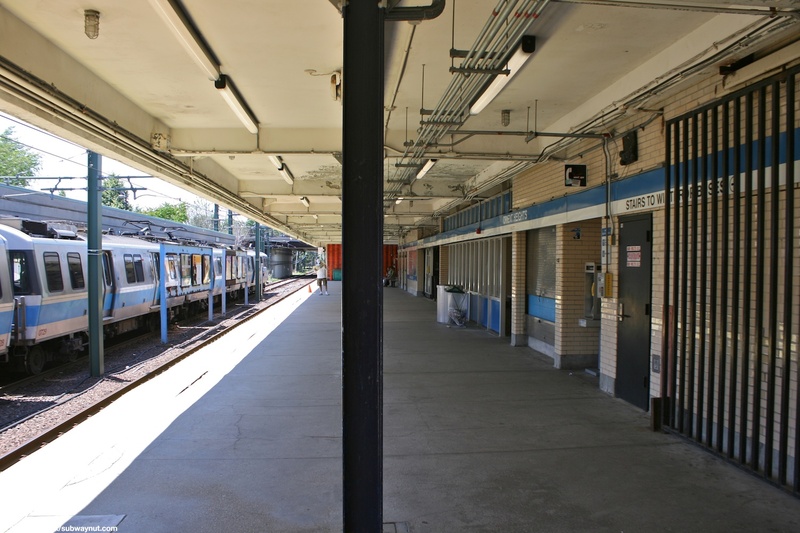 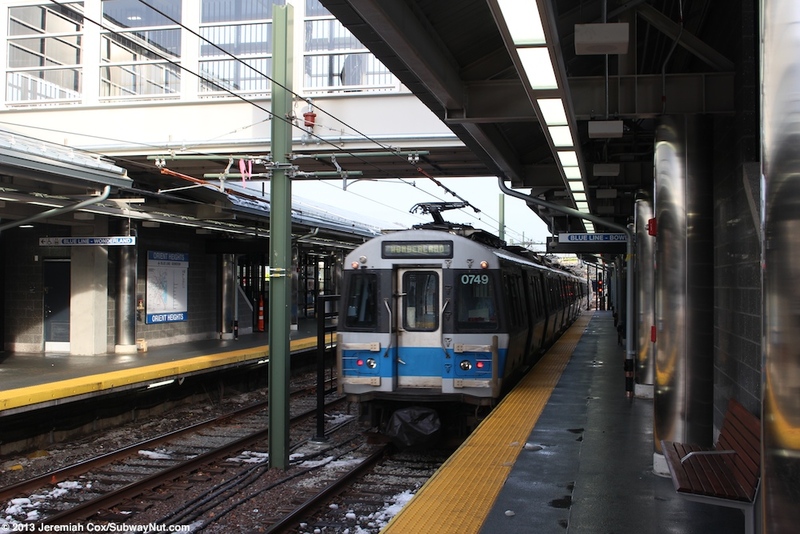 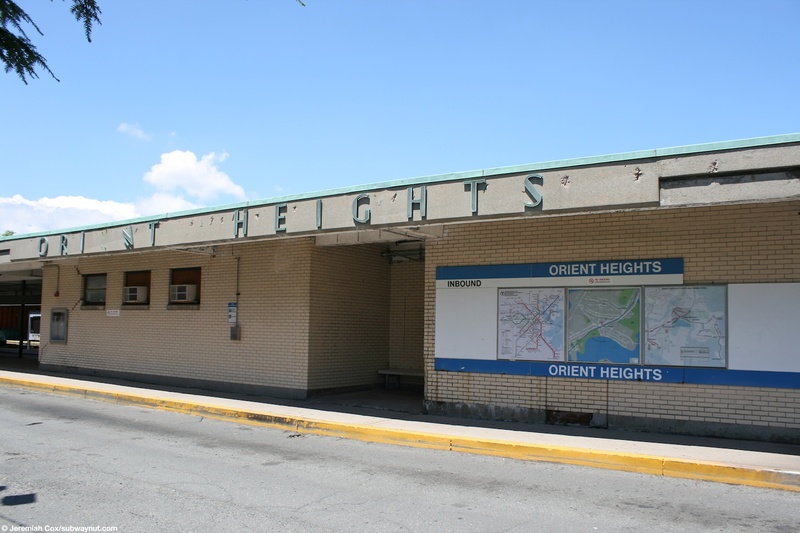 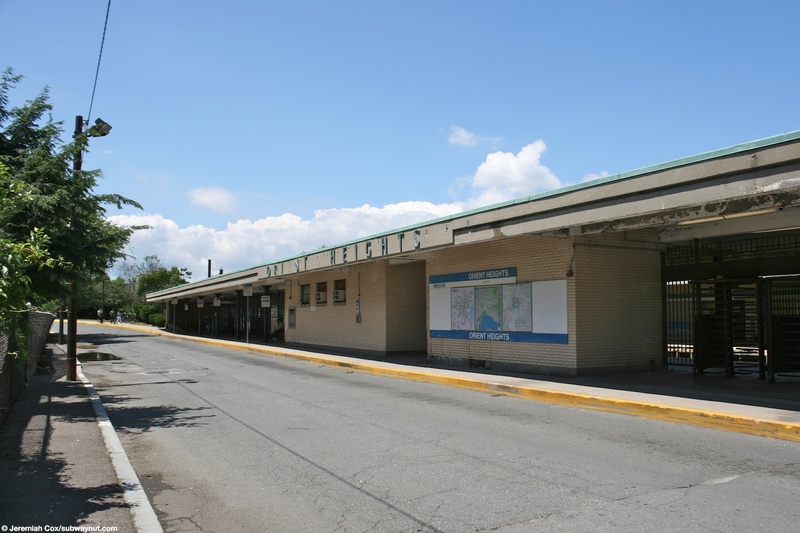 Orient Heights is the main station on the blue line that has maintained some of the architectural details of the lines legacy 1952 opening along the right of way of the Boston, Revere Beach and Lynn Railroad, with cream colored almost cinderblock walls along the platforms and in some of the surrounding MBTA buildings. 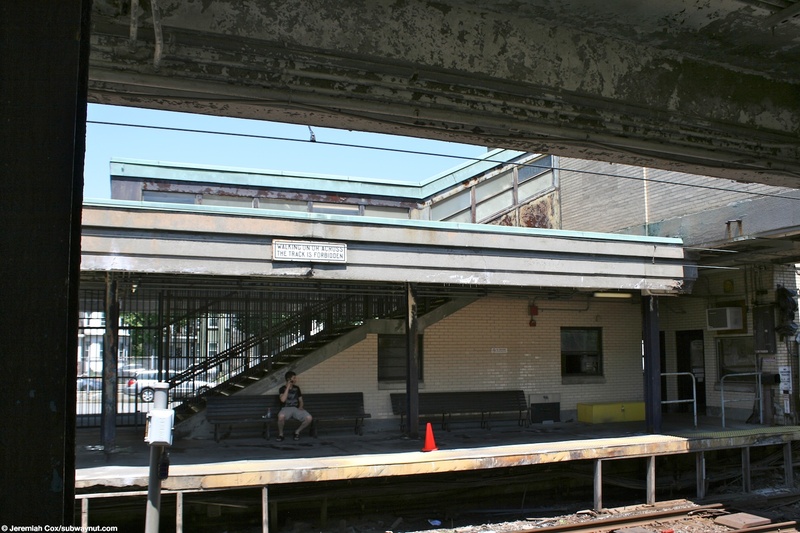 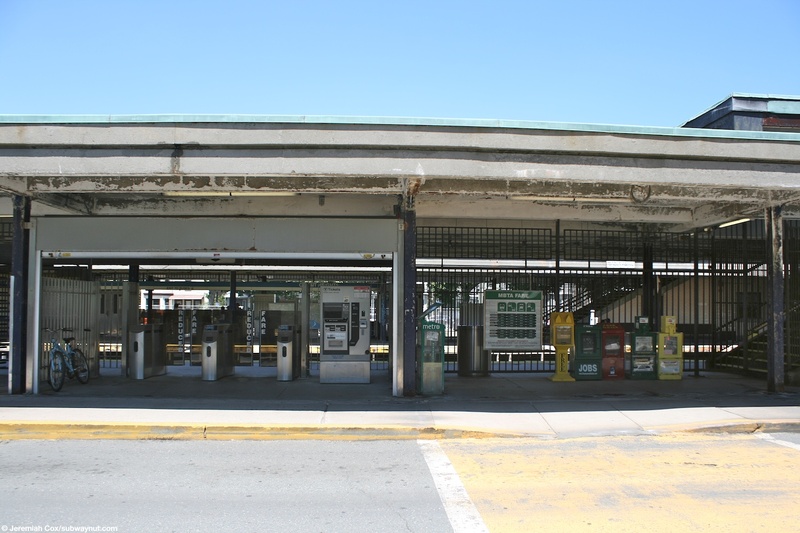 The stop has two side platforms that are connected with an enclosed overpass with just stairs for access and a fence running down the middle separating the two directions along both the overpass and the single staircase up to. 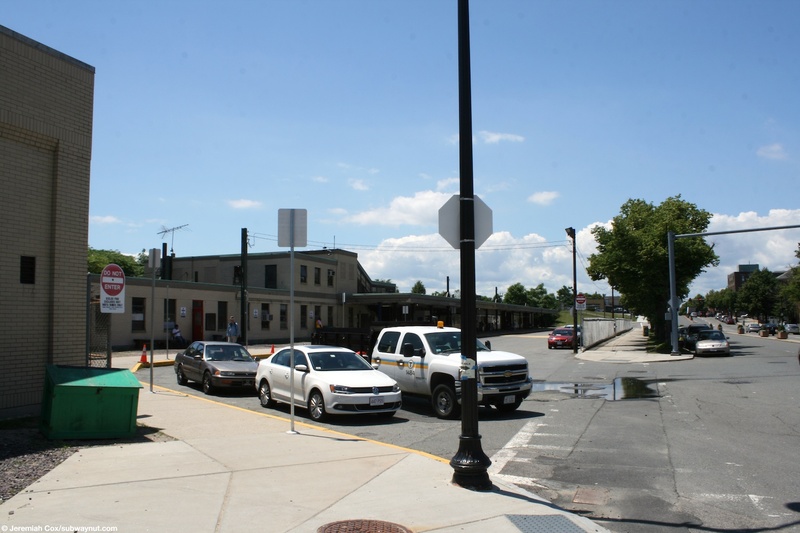 The stop is wheelchair accessible but those passengers must use nearby streets to cross the tracks. 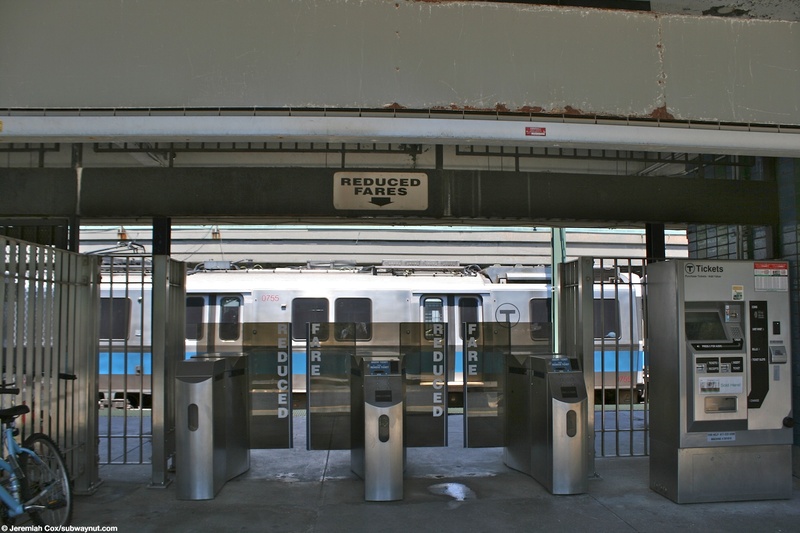 Each platform has its own separate bank of fare gates (the outbound also has a few high exit turnstiles). 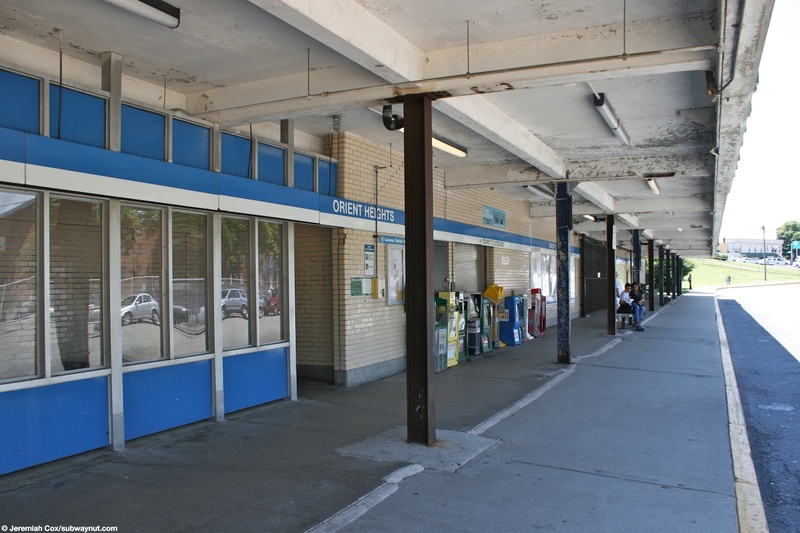 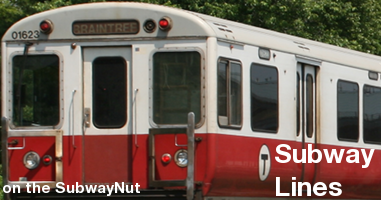 The inbound platform entrance is along a bus loop with a small T employee only parking lot off of Bennington Street. 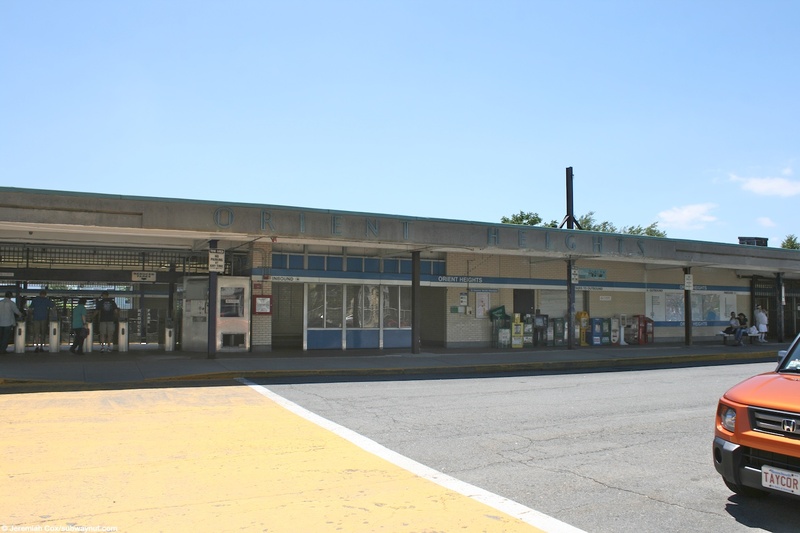 The outbound platform leads out to more bus stops to a street alongside the entire platform. 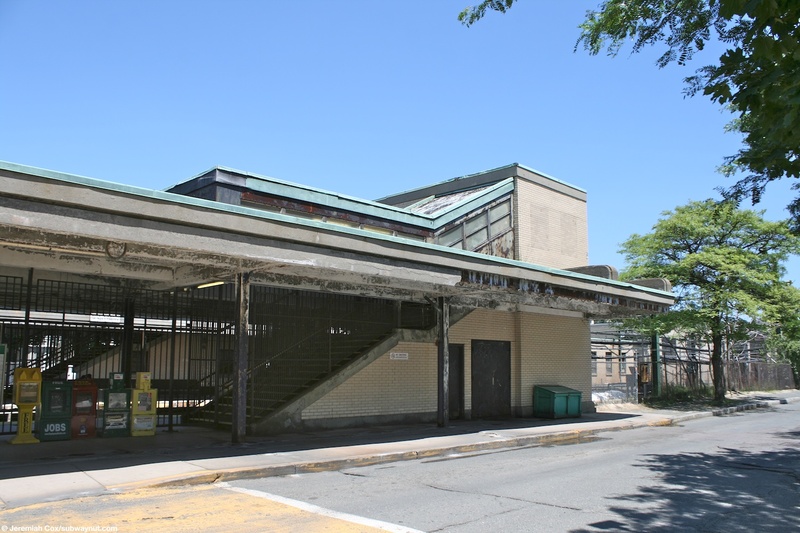 From March 23, 2013 to November 26, 2013 the Station Closed for Reconstruction: The New Station is completely modern with everything replaced. 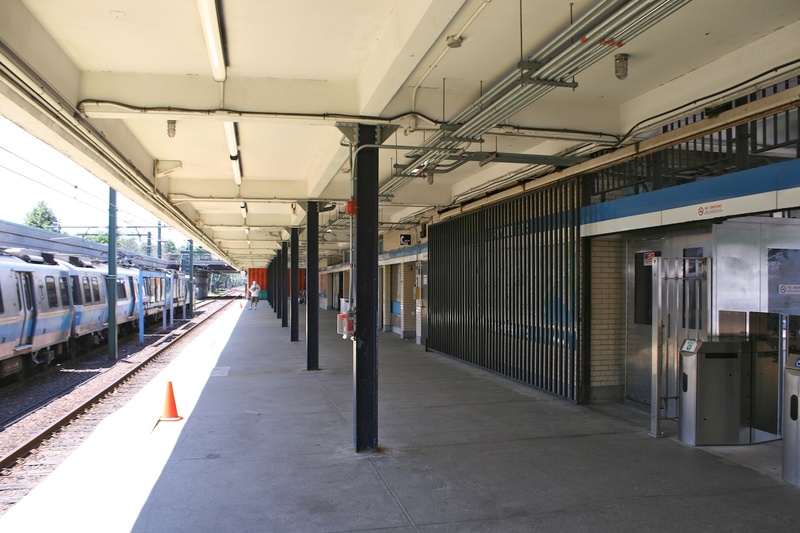 The platforms now have silver columns holding up a modern canopy structure The edges of the ground-level platform are mainly simple but high fencing allowing views of the bus loops along either side of the station with glass windscreens. 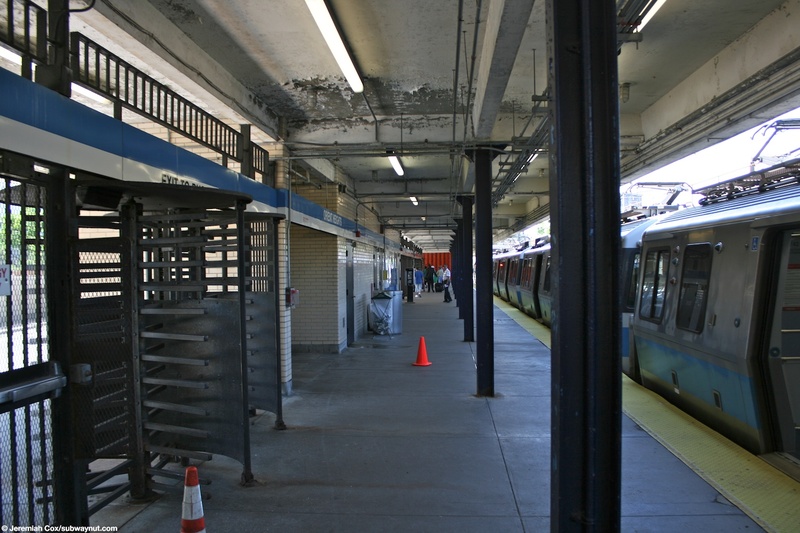 The overpass is now more of an enclosed building, with glass windows and a similar fence running down the middle of it. 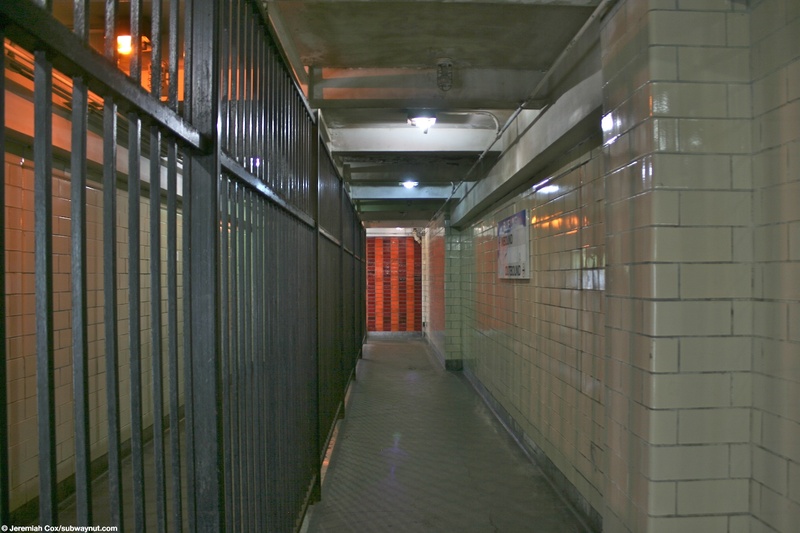 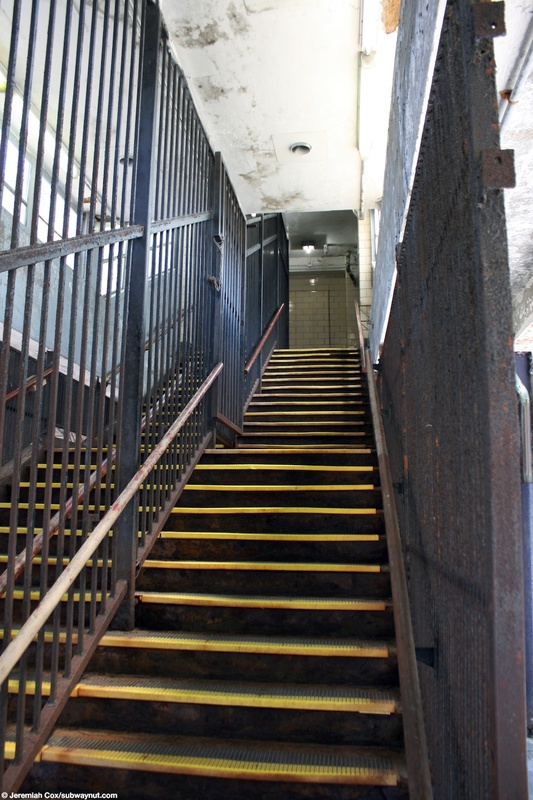 Access to the overpass is via elevators 2 up from each side of the station. 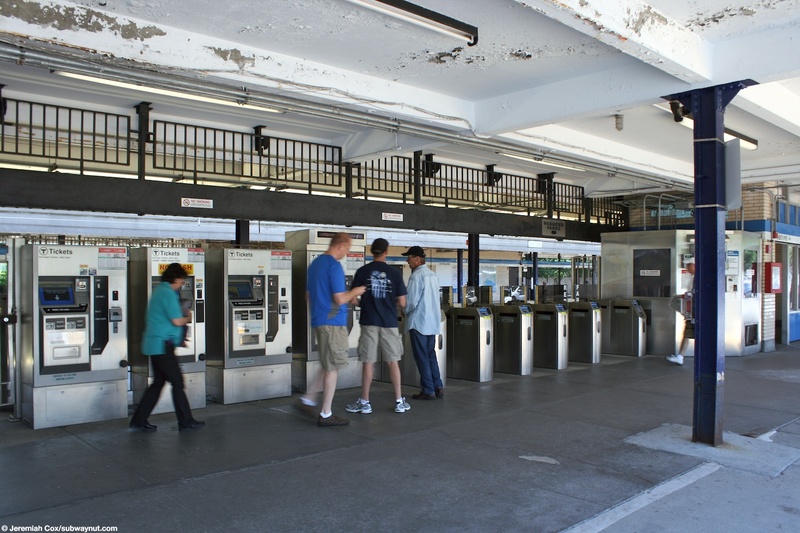 These are two shafts next to each other; one is completely within fare control, the other outside of it. 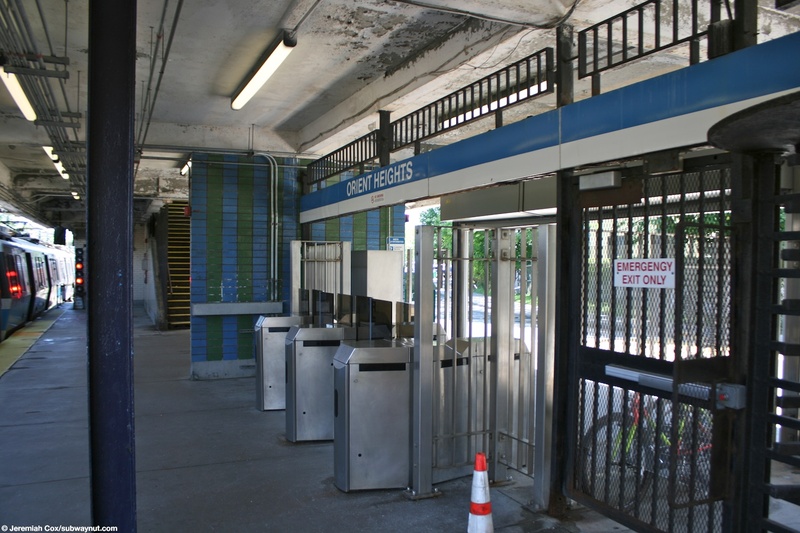 There are also separate staircases within and outside of fare control and a new escalator (not open when I visited about a month after the new opening) on the within fare control side.